We pride ourselves on the high standard of our work and maintaining such high standards means our business grows by word of mouth. Some of our previous customers have been kind enough to tell us their thoughts on our service & workmanship, please enjoy reading their comments. We chose the company to upgrade our bathroom mainly because they had Trusted Trader status. We were impressed from the first, with Sam and Richard giving helpful advice but also paying close attention to our wishes. When the tiles and radiator that arrived did not seem to be quite as ordered, Sam got in touch and we decided on any necessary changes. The work started on the agreed date and finished one day early. Richard and Andy were friendly, efficient and obliging, always leaving things as tidy as possible. The electrical, tiling and flooring work was also of a high standard and looks very good. Where extra work was needed it was always explained and the price agreed before it was done (and they also did some remedial work for us in the kitchen!) Now it is finished it looks just as we had hoped. and we have no hesitation in recommending them. We invited several bathroom specialists to do a design. There aren’t many ways that an 8 foot square en-suite bathroom can be configured and, except for the Oldfield design, all the designs were the same and repeated the positions of hardware and piping that were already in place. Richard took a little more trouble and came up with a simple change of position and an extended false wall which made the Oldfield design much cleaner than the others. The Oldfield showroom has lots of examples of showers, tiles and so on. If something in the brochures isn’t on display, there is something very similar. The range of choice is huge. Sam was amazingly patient and helpful. We were given a date. The date came and so did they. They said it would take a week. And it did. There is a target set each day so that everything is ready the following day for the next steps and the next specialist craftsman. The work doesn’t stop until the target is met. All planned and controlled by Richard. Mess was minimal. The end result is like the pictures in the brochures. Care and courtesy is spot on. Cloakroom next! I’m so very happy with my new bathroom, the transformation is unbelievable…I can’t thank you enough for your guidance, advice and down to earth approach to helping me make informed correct choices at every step of the process. What sets you apart from others is that your main focus is on getting me the bathroom I want rather than the bathroom that will make you the most profit…that is so special and so rare. I won’t be going anywhere else in the future if I ever need bathroom or kitchen improvements. The on site care and attention to detail is outstanding and Richard’s willingness to provide advice about issues outside the bathroom remit is invaluable. Thank you Sam and Richard….you are the best! Just a few words to express how delighted both Tricia and I are with the bathroom and kitchen. Our sincere thanks go to Richard and all the team for the consideration and respect they gave when working in someone else’s house…. At all stages of the project from initial meeting at home, to the showroom visits, we were guided by Sam and Richard with no alteration to much trouble, even up to the last minute. The quality, attention to detail and customer care given by Oldfield’s is second to none. At each stage we were consulted and asked if we were happy with what was being suggested and done. At close of play each day the house was tidied and we were asked if we were happy with what and how things had been done that day. We are more than delighted with both the bathroom and kitchen and would have absolutely no hesitation in recommending Oldfield’s to any of our family and friends. I love my new Bathroom…went away for 2 wks and left Richard the key…..Richard and his team are very trustworthy and have done a fantastic job. I was the worst customer he ever had…changed my mind god knows how many times but Sam and Richard were so patient and I would recommend them to anybody…I am so pleased with it..and the aftercare Richard has given us is brilliant. Just need a quote for my Kitchen now! “Sam, Richard and their team have been excellent to work with. We have had a kitchen, utility room, 2 bathrooms and a downstairs cloakroom installed by them, all at once, so it was quite a big job! From the planning to the final touches they have been fantastic. 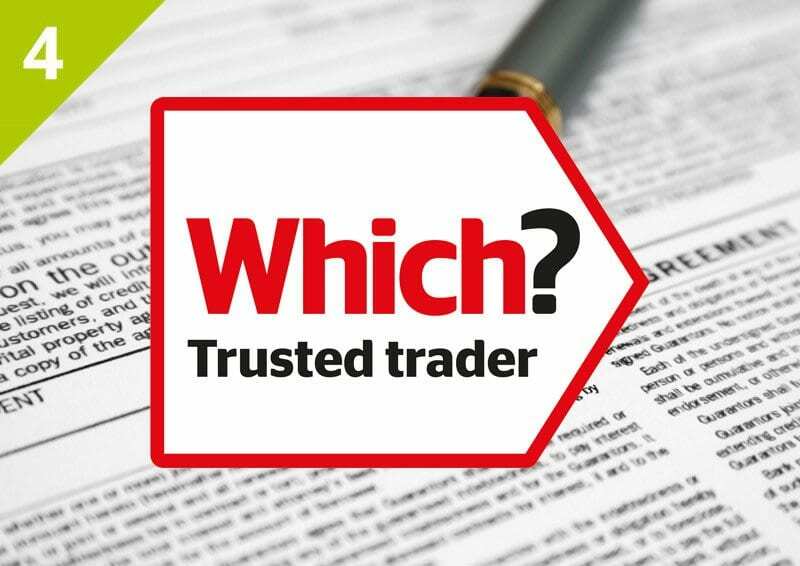 Firstly, they turn up when they say they will, which… seems very difficult for some tradespeople these days. They kept us fully informed throughout the whole process. During the planning stage, there was a lot of input and suggestions from both Sam and Richard. When the work started, if improvements could be made on the original design/plans, Richard would contact us and come out to discuss it, this was always at our convenience (when you are working and not at home all day, this is a godsend). They are very proactive and professional in their approach and use their experience to make recommendations/suggestions to make your installation the best it can be. The quality of their workmanship is excellent and they do everything from start to finish, so that the only thing I needed to do was arrange a decorator to paint a few walls at the end of the project. Bearing in mind they were doing so much work, they made every effort to ensure that I came home to a neat and tidy house each evening. So in summary if you are looking for a team of people who you can trust in your home; who do an excellent job of installing; that communicate with you; make suggestions and improvements even as you go through the installation process; keeps you fully updated, then please don’t look anywhere else. Thank you so much to all the team at Oldfield Bathrooms and Kitchen, you were an absolute pleasure to work with”. Oldfield Bathrooms & Kitchens are first class from start to finish. We recently had a new kitchen, downstairs W.C and a small kitchen in an upstairs self-contained annex all completed one after the other. From the initial contact in their showroom to consultation and measure up through to choosing all products with Sam to installation and completion everything was taken care of to put you at e…ase. Richard is there every step of the way from designing to installing so continuity of the job is achieved and therefore no salesmen or middle man to deal with. He co-ordinates the time frames with all the other trades men that he deals with (ie Electrcian, Plasterer, Tiler, Flooring) so that there is no waiting in between jobs. All the team have respect for you and your property and everything is sheeted up to protect from damage. The workmanship of the job is second to none and everything has been completed to an exceptionally high standard, nothing is too much trouble however big or small. Richard communicates with you all along so that nothing is overlooked and his attention to detail is a credit to him. All products are of the highest quality and come with guarantees. Richard and Sam are always approachable and their customer service and after sales service is important to them as well as the finished result. This I feel is hard to find these days, so Richard and Sam ‘Thank You’ so much we are thrilled with our new rooms and to us they have the WOW factor. I also must say that a few months previous to finding Richard and Sam we had a new bathroom installed by someone else. Although the bathroom is ok…it is just ok. The quality of the workmanship is not good compared to the results of our rooms done by Richard and his team. Richard has already fixed a leak under the sink.!!! need I say more. I wish I had come across Oldfield Bathrooms & Kitchens before having my bathroom. The moral of my story is if you want a first class job by excellent tradesmen… look no further than Oldfield Bathrooms and Kitchens. We are very pleased with our kitchen. First class service from initial planning in the showroom to completion of the job. Some great ideas for design and excellently executed. All tradesmen that Oldfield Bathrooms and Kitchens bought in all worked to the highest standard, were honest and reliable and had respect for our home. Nothing was too much trouble and customer service first class too. We love our new Oldfield kitchen! Richard and Sam offered us practical advice when it came to planning our kitchen and we are pleased we took their practical tips. The installation was swift and nothing was too much trouble when it came to making it just right for us and our family. As our house is an older property we needed quite a bit of remedial work to make the end result perfect. Richard replaced our old skirting boards with new and took time with us to plan lighting, socket positions and television wires resulting, we think, in a really high quality finish kitchen. We are really pleased we found The Oldfields and feel lucky to have such a lovely space for cooking and eating. Thanks! A 5* service from start to finish, from the original consultation to the availability of samples (as many as you like), to the final result, which is an amazing transformation of our kitchen. Plus the added bonus of a 10 year guarantee… this is one company where the customer definitely comes first. Our house was looking very tired, years of second rate DIY & a large family had taken its toll, happily for us we found a great partner in Richard, Sam & all the team at Oldfield Kitchens & Bathrooms. From our initial welcome at the showroom, through several hours of good advise to work commencing & completing to agreed timescales in a first class & tidy manner we would wholeheartedly recommend Oldfield Kitchens & Bathrooms. New bathroom, Kitchen,Utility, even a deck in the back garden, the house looks like new, if you are looking to find a company that truly understand the meaning of Customer Service these are the people to talk too. To Richard, Sam & Andy, A very big thankyou for our beautiful kitchen, it exceeds all our expectations. From the beginning of the work until the completion, we have had exceptional service. The quality of the kitchen and the professional workmanship and advice from all of your team was fantastic. We highly recommend your company. Despite having never used Oldfield Bathrooms & Kitchens before, and only stumbling on them through an internet search, any concerns were soon quashed with their friendly and professional manner. From the initial consultation, through planning, installation and after-sales both Richard and Sam were intuitive about what I required, giving helpful suggestions without being ‘pushy’. I am pleased with the results, transforming the house into a home and I would highly recommend them for anyone considering similar improvements. “We just wanted to say a massive thank you for all the work you have done for us this year, we are really pleased with everything, all the work has exceeded our expectations and we have received many compliments from our family and friends. 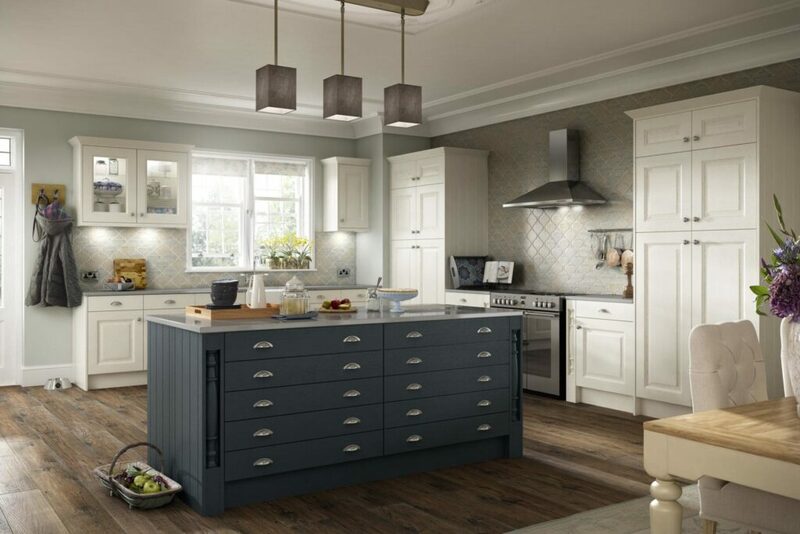 We were looking for a new kitchen and found Oldfield on the internet, we didn’t know anyone who had used them and we felt like we were taking a risk ringing someone that we had only seen on the internet. The service we received from Oldfield from start to finish was first class. We loved the fact that Richard designed the kitchen and also carried out the work, giving us more confidence in the design; unlike lots of other kitchen companies who have sale reps designing and then someone you have never met doing the work. We were so impressed with everything in the showroom, Richards and Sam’s friendly and professional attitude and design of our kitchen, so we decided we wanted Oldfield to also do our new bathroom and en-suite that we were having built as part of our extension at the time we were getting the quote for our new kitchen, we haven’t been disappointed with this decision. Sam was so helpful and assisted us in making the decisions on appliances, flooring, tiles etc. she provided such a personable service and seemed genuinely interested in getting the best look for our kitchen and bathrooms within our budget. Things were often hectic having an extension built at the time however Richard and Sam helped take as much stress away as possible during this period by project managing the work. Sam went that extra mile by even going to the tile shop with us to help choose our tiles, and showing us their own kitchen and bathroom for ideas, Amazing customer service! Richard’s designs were spot on creating a feeling of space and lots of storage, which was something we were looking for. He gave us the confidence to move our sink to were we wanted it to go. We cannot believe the difference! Our new kitchen is stunning certainly creating that wow factor we were looking for. Everyone comments on how much bigger it looks, thanks to Richards clever design. Visitors have commented on our bathrooms looking similar to bathrooms in 5 star hotels. Richard’s attention to detail was amazing along with the excellent quality of workmanship making Oldfield stand out from other companies. We had no problem in allowing Richard and his team in our home whilst we were at work, in fact we give him a key for the period he was working in our home and had no concerns on trusting Richard. We would certainly recommend Oldfield to anyone wanting a new kitchen and bathroom”. Dear Richard & Sam, We just wanted to say thank you for our fantastic new bathroom. We are really pleased with our new bathroom which involved knocking through the existing separate toilet and bathroom. Richard and Sam were both so helpful throughout the whole process, from helping us choose a stylish bathroom suite including best fittings and tiles, to managing the various inputs from the sub contractors (all of which were excellent), and finishing it to a very high standard. Richard updated us on progress throughout the job and went the extra mile to ensure the process was as smooth as possible. Having Richard to manage everything made things very straightforward for us. Thanks again, and we would definitely recommend you. Richard Oldfield has fitted two bathrooms in two properties for us and on both occasions the work has been brilliant. Richard is a talented designer as well as a fitter and so he will suggest the best use of any space and advise on every little detail. In our current bathroom Richard went beyond ‘the extra mile’ to fit the bathroom in between other jobs because we were in a mess at home. He communicates really well and so you always know where you are up to. A special mention must be made to his team. Firstly his wife Sam who does a lot of graft behind the scenes (and in the showroom) and to Andy the joiner who works alongside him. Also, Richard has a close team of other professionals who are brilliant at their respective trades. All in Richard has worked extremely hard to establish his reputation and just like the other reviews he thoroughly deserves all the work that comes his way. Not much else to say except he comes with the highest recommendation and I would never use anyone else. We had decided we needed a new kitchen. Our specification was simple; we wanted a modern, functional kitchen with plenty of storage space, clean lines, and no clutter. We also wanted the job doing well, by skilled competent and conscientious craftsmen, and we wanted the job to be done quickly within an agreed timescale, and an agreed budget. We had know of Oldfield Bathrooms & Kitchens for some time, and friends of ours had used their services, and they told us that they were impressed with the work carried out. So we contacted the firm and arranged an initial meeting. Richard Oldfield met us at our home at a time that was convenient for us. He listened to what we wanted, made sure he understood our requirements, and within a few days provided a comprehensive and detailed estimate with a schedule of work and costs. We were happy with the estimate and agreed a date for the work to be done. Richard arrived on the agreed date and time and began work. He oversaw and managed the whole project from start to finish. Plumbers, electricians, gas engineers, plasterers, all arrived at the right time, did the work and left. The Oldfield team were always courteous, polite, tidy and very hard-working. Within the agreed timescale, our new kitchen was finished, to the agreed specification and to the agreed price. We think the real skill in these matters is the ability to do what you promise, and to do it well. Richard and his team did an excellent job for us, they delivered on time and on budget. They are skilled, competent and conscientious. We are very happy to recommend Oldfield Bathrooms & Kitchens to anyone who is looking for high quality workmanship at competitive prices. We had planned our bathroom before meeting up with Richard. He then very kindly but firmly advised me what wouldn’t work, what wasn’t needed, and where improvements could be made. I had such confidence in Richard that, contrary to my normal mindset, I went ” with it” and bowed to his knowledge and experience. Richard and Andy work well together, were considerate to us and our property and are very clean workers….we couldn’t believe how little mess there was. Richard is a craftsman who knows his job inside out. Richard’s colleagues, window man, tiler and electrician all came as planned… were very professional, very clean and very good at their jobs. Clearly a broad well matched team that communicate well, all working to the same exacting standards and all very helpful and supportive to the client . Our bathroom is wonderful, we are surprised as to how much bigger it looks now… it has truly exceeded our expectations and we have no hesitation in recommending Richard. Had bath removed & new shower put in recently. Sam & Richard could not have been more helpful. All done in 3 days, beautiful job & didn’t even need to clean up after. Thanks to both of you & Andy. Richard was recommended to us when we were looking to have our ensuite replaced. From start to finish the whole project was superbly managed and even though the ensuite was fitted whilst we were on holiday we didn’t have anything to worry about. We had several meetings with Richard and found him to be very professional and friendly, and was able to give us helpful advice on both the technical and design aspects of the job. We were really pleased with the final finish which was to a very high standard. We definitely recommend Oldfield Bathrooms & Kitchens and would look to use them in the future for other work. Many thanks to Richard and his team for all their work. Dear Sam and Richard, we wanted to let you know how happy we are with our new bathroom now we have had a few days to enjoy it. From the start Richard was very helpful discussing practicalities and using his experience to make suggestions on fittings etc. We found Richard, Andy and the team reliable and professional, the fitting went smoothly and we are impressed with the quality of the work. We were recommended Oldfields by a friend and we wouldn’t hesitate in recommending you to others. We recently approached Oldfield Bathrooms & Kitchens Ltd for a design consultation as we were wanting our kitchen replacing. We had an idea of what we wanted but needed help with making the most of the space. Richard and Sam were brilliant from the start, providing us with ideas and designs, working with what we wanted yet giving us new ideas we had not thought of, and being honest with any problems we could face. After finalising the details, the work started on the agreed date, it ran smoothly and was completed by the expected date, it was very well organised and we cannot recommend Richard and his team enough. The work included knocking down an interior wall, relocating an external door as well as a full kitchen re-fit. We have a 6 month old baby and they did everything they could to work around us and ensure we were not without any essential appliances for longer than was necessary, they always tidied up after each day and we are thrilled with the new kitchen! To Richard, Sam & all the team, thank-you for all your hard work. We are delighted with our new bathroom & kitchen. The finish is perfect as promised by Richard, who helped us to design, cost & plan from start to finish. Richard was flexible with design changes throughout the installation and was supportive with decision making. Oldfield Bathrooms & Kitchens came highly recommended by friends and we would have no hesitation in recommending them to others. It was an exciting venture with a very positive outcome! We knew of Richard as we had seen his van locally and decided to check the testimonials on their website. All very impressive but had we not been perfectly happy at each stage of planning we would not have chosen him to fit our kitchen. Kitchens are not something we buy every day in fact it is probably 15 years since we last had a kitchen fitted and I would therefore not consider ourselves up to date with the kitchen market and that is where we were first impressed by both Richard and Sam. They advised us well and I’m sure prevented us from making some big mistakes by guiding us in our choices and pointing out the pros and cons of what we were considering. The design was a challenge as we had certain requirements which were irregular but after our initial consultations, we had complete confidence that Richard would be able to deliver the kitchen as promised. Speaking of promises, Oldfield Bathrooms and Kitchens seem to have a company policy of under promising and over delivering which impressed us greatly having had a lot of workmen to our house in the past who have either let us down or not done as they had promised. The kitchen was completed in less than the time expected despite a set back on removing the old kitchen and both prior to and during the fitting process we were kept fully informed of any financial consequences resulting from any alterations to the original specifications. Both Richard and Andy were sensitive to the stress of our upheaval and made the process as painless as possible, they were spotlessly clean during the time they were here, cleaning up meticulously at the end of each day…. and that is a word I would use for the whole experience and result. Richard is meticulous and professional…from planning the job in the initial stages to putting the finishing touches at the end. We now have a kitchen which is not only good quality, looks classy and stylish but is also very user friendly and workable. I thought I would write to you to offer my appreciation for the bathroom you fitted at my property at in Bolton. The remit I gave you was quite vague but your understanding of what would look best helped pave the way for what is a truly stunning new bathroom considering the limited space you had to work with. 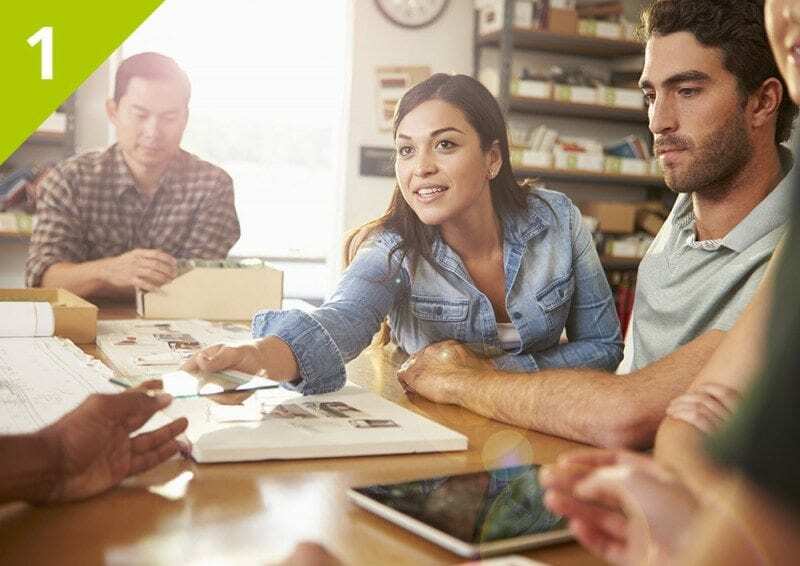 I was singularly impressed with the dedication and integrity with which you operate your business and this is also reflected with other members of your team you utilised on the job. This work was part of my first full renovation of a property so I took my time over the quotes process to ensure I had the right people for all the work and whilst you weren’t the cheapest quote for the bathroom the enthusiasm and honesty at our first meeting filled me with confidence that you were the right person to work with on the project and it just shows that sometimes spending a little more makes a huge difference in the quality and service you receive.I have no hesitation in recommending you to others and will certainly be using your services again on future projects. I would recommend Oldfield Bathrooms & Kitchens to anyone. They have done a very good job. My wife and I both agree that we have never had better workmen in our home. After Oldfield completed the renovation of our bathroom a couple of years ago to such a high standard, we knew exactly who to call when the time came to upgrade our kitchen. Richard visited us and talked through our ideas, adding practical advice & ideas to bring together the final plan. Involved in the renovation was some building work, Richard also integrated this into the project. This ensured all the trades turned up when required, with no wasted time or cost. Constantly keeping us updated with how the project was progressing, discussing any minor amends to the original plans and always gaining approval before moving to the next stage gave us complete confidence we had made the right choice to be once again involved with Oldfield. The kitchen is now complete and we are all absolutely delighted with the outcome & with the high standard of work from everyone involved. Would have no trouble whatsoever in recommending that if you have a kitchen or bathroom project you contact the team at Oldfield – even my Mum and Sister agree (see other testimonials from Mr & Mrs Hall and Carolyn & Ashley Kay)! Having recently had our bathroom fully refurbished we are writing to thank all those involved and in particular Richard and Andy. From the initial meeting with Richard to discuss the various options, to completion, everything was totally satisfactory. The job was professionally project managed to a high standard in a well planned timescale, with all trades involved working in a clean courteous manner producing quality workmanship. Without hesitation we would recommend Oldfield Bathrooms and Kitchens to any prospective customers. I am over the moon with my new kitchen. From the start of the job to completion I found Richard & team to be professional, efficient and above all clean workers. They left everything clean and tidy at the end of each day & even hoovered round every night! Richard fully explained the job to me and also exactly what I would be paying for. All the paperwork that I received was clear and accurate and the final invoice was exactly as I expected. The whole Oldfield team were fantastic. I have no hesitation at all in recommending them. I am extremely pleased, thank you. We employed Oldfield Bathrooms & Kitchens to supply and install our new kitchen. Richard was an absolute superstar! He project managed the whole job; from our first meeting I knew that Richard was a true professional and that I could rely upon him to do a first class job. Richard’s professionalism and attention to detail is outstanding and his workmanship is absolutely first class. I cannot praise him enough! All the Oldfield team were polite, conscientious and thorough; from laying carpet protector at the start of the day to tidying up at the end… Oldfield Bathrooms and Kitchens did the complete job; from designing the new kitchen layout, removing the old kitchen, re-plastering, electrics, installing the new kitchen, appliances, quartz worktops and the flooring. The disruption was minimal and the finished job superb! Even better than I imagined! A sincere thank-you to Richard and team for a fantastic job and excellent service, it’s much appreciated. I have since employed Oldfield Bathrooms and Kitchens to fit out our office at work and also our bathroom. Excellent quality & customer service from start to finish. We have just had a bathroom and WC installed by Oldfields and are very happy with everything carried out. Sam & Richard make a great team and all their tradesmen worked to a very high standard and caused minimal disruption. Look forward to using them when our en-suite needs replacing! Friendly, professional, efficient, & exceptional attention to detail. An extremely high standard of workmanship & excellent communication throughout. Superb customer service & a fantastic job. We are delighted with our new kitchen. From initial consultation to completed job, Richard and Sam were great to work with, and nothing was too much trouble. Not unusual to find a few surprises when taking out an old bathroom, but Richard and his team took everything in their stride and ensured everything was in ship shape condition before fitting the new Bathroom in its entirety. The work schedule was sp…ot on, and everyone turned up when they were supposed to, which has certainly not always been my experience in the past. Quality of workmanship was extremely high, and the level of tidiness was way above my expectation. I am delighted to have chosen Oldfield Bathrooms & Kitchens and would have no hesitation in recommending them to anyone who wants a high quality job, with the reassurance of someone like Richard at the helm to direct the various trades and take responsibility for full project management. Would happily use again when the need arises. A great job, very well done. Thank you so much guys we LOVE our new kitchen and are so enjoying spending time just sitting in the dining area together. As usual – the whole team have done an amazing job. Can totally recommend Oldfield bathrooms and kitchens – and have done! Richard and Sam Oldfield have now completed three projects for us . (1) An en suite shower room , (2) Main bathroom and (3) A new kitchen . All the work has been done to a very high standard . We would like to thank Richard and all his team and have no hesitation in recommending them. Fantastic professional people! There is nothing the Oldfield’s don’t know about kitchens and bathrooms. If you want a perfectly project managed job call Oldfield bathrooms and kitchens! Arguably the best business I have ever dealt with and without question the very best when it comes to home improvement. …I have used Oldfield Bathrooms & Kitchens twice now and on both occasions they have delivered outstanding workmanship. Everything about this company is geared towards excellence and even if any issues arise they go out of there way to sort them. A big thanks to Richard, Sam and the team – all of whom I trust implicitly. Reading through the previous testimonials our experience is that we can endorse the various glowing reports. We asked for a quote to fit a modern easy to use kitchen in our home, appropriate for the expectations and limitations of a retired couple. Recently, Richard had fitted fitted a beautiful new kitchen and diner in our daughter’s extension so we had seen the high quality and hard work of his team from start to finish. As soon as he visited Richard produced ideas to meet our current and future needs and guided us into what is practical and would work. He is very flexible concerning any changes which need to be made as the work progressed. We decided to treat ourselves to “granite” worktops and commercial grade flooring. Sam took us to the stone workshops in Bolton to inspect our choice of material first hand. She helped with the tricky choice of patterns and colouring to match flooring in three adjacent rooms. Richard opened up a previously boarded up doorway to the dining room from the kitchen. What a difference, now our dining room is used every mealtime. We can honestly say that the Oldfields have spared no effort or consideration in producing an exceptional kitchen for us to look forward to using in the coming years. We would like to thank all the Oldfield team for transforming our old bathroom into a lovely modern bathroom. We had been considering changing the bathroom for some time but always knew it was a big job and therefore kept delaying it. 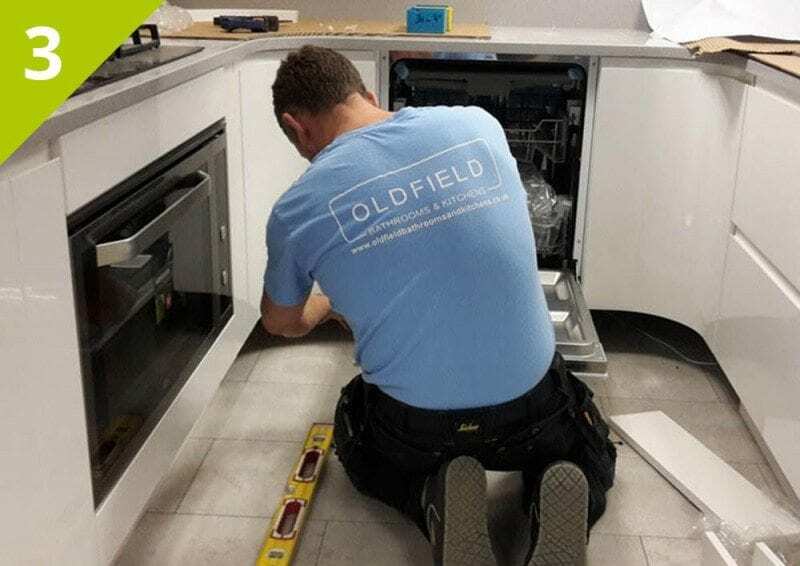 When we contacted Oldfield Bathrooms and Kitchens we felt reassured immediately that the work would be carried out to a high standard and with as little disruption as possible. Sam and Richard came to the house initially to discuss our requirements and then the idea of going on holiday during the work came into our minds and we discussed this possibility with them. We were confident from the outset that we could leave the job to them. Holiday all booked we set about designing the bathroom. The visits to the showroom really helped us to decide and with the expert eye of Sam and Richard helping we had designed the bathroom and were really happy with our choice. We went on holiday and left all the work to the Oldfield team. They completely renovated the bathroom taking out all the old fittings and tiles and replacing them to produce our fabulous new bathroom. The work was all completely finished when we returned and as we walked into the house you would have no idea that such a massive job had taken place other than to visit the bathroom and see what an amazing transformation had taken place. Thank you so much to all the Oldfield team for such a professional, friendly and expert approach. We love our new bathroom. We know from past experience that refitting a kitchen can be challenging. For a successful outcome a lot of things have to come together: good advice as to best design and layout (both practicality and style! ), strong project management and excellent quality of workmanship. Having recently had a kitchen refit and a bathroom update completed by Oldfield Bathrooms & Kitchens we can say without hesitation that they delivered on all fronts. Richard and Sam gave us great guidance for the designs both in our home, and at their Chorley Old Road shop premises where they were able to show us a wide range of materials and finishes as well as appliances (not least the wine cooler that was incorporated into the design!). All work, carried out by Richard and his very capable team, was of a high standard with excellent attention to detail. And, very importantly, everything got finished off promptly. We are very pleased with the results and would not hesitate to recommend the Oldfields for any kind of kitchen and bathroom related work. I approached Oldfield Bathrooms & Kitchens with a view to a complete kitchen makeover which included the removal of a load baring wall to produce an open plan kitchen and dining room. Both Sam and Richard were pleasant to deal with and offered many good ideas as to the makeover and after several alterations to the appliances, fixtures and fittings, we agreed on the price and a date by when the work was to be carried out; that being a 2 week period when my wife and I were out of the country on holiday. I then increased the work scope by adding in a complete downstairs WC and cloakroom replacement, together with new utility room cupboards and worktop, along with floor tiling throughout. I always knew that with such a huge amount of work to undertake, Richard would struggle to complete it all in the time frame I had given him. Having flown out of Manchester at 6am, Richard was soon busy demolishing the kitchen / dining room wall by 8am the same Saturday!! When I arrived home 2 weeks later, I was both amazed and surprised by just home much work had been completed. With the exception of some minor tiling, the work was 100% complete, and that even included a complete re-wire to the kitchen and dining room, together with a couple of extra radiators!! With Richard and his team clearly having put in long hours, and having met my aspirations in terms of programme certainty, I was also very pleasantly surprised not to find any defects or have any issues with workmanship whatsoever. It is most pleasing to find a company who pays so much attention to product quality, detail and customer service. I would have no hesitation in recommending Oldfield Bathrooms & Kitchens for any future works, and have further commissioned Richard and his team to undertake an en-suite bathroom make-over in the next few months!! We are very pleased with our new kitchen also the excellent workmen who came to the job on time. They were very clean & tidy too. We would definitely recommend Oldfield Bathrooms & Kitchens. You’d be stupid NOT to go with Oldfield Bathrooms & Kitchens! After seeing the standard and quality of my parents en suite, I enquired earlier in the year for a quote for a kitchen, bathroom and downstairs cloakroom for my own house. Cut a long story short, after three site visits from Richard, 6 or 7 re-quotes from Sam (due to my extreme indecisiveness), I finally got my kitchen, bathroom and cloak, less than a week before Christmas! Liaising with Sam with regards to decisions, recommendations and samples, has been excellent, the new showroom certainly helps with the decision process. Like I said, I changed my mind that many times, she had to re-quote me several times before I got it just right! But through the uncountable amounts of emails swinging back and forth, a few visits to the showroom, we finally came to an agreement, the final quote!! Then I was booked in ready for the install! So I do thank you Sam for all you did prior to the installation!!! Now to the installation! Richard, Andy and the tiler Chris were all professional, efficient and dedicated to quality and appearance of the final product. It’s not just a team who comes in, gets cracking, and done within a day only to find out your cupboards are falling off after a week, it’s a team who comes in, they’re friendly, committed, have a good sense of humour and keep you involved in EVERYTHING, from which way doors swing to the general maintenance of certain aspects of the kitchen. The house has been renovated from top to bottom, so as they were installing, I was still fixing up rooms where I was out the way. Even then, they even assisted me and advised me on matters that were nothing to do with the kitchen or bathroom. I had miniature lessons on how to install door frames, cut skirting boards so they sit flush, boiler maintenance…the list goes on! So I thank you Rich, Andy and Chris for all you’ve done! All in all, an absolutely fantastic team, no faults at all! From the first quote to the last cupboard to be fitted! I will quite openly say, I very much doubt any high street chain homeware store would be as helpful and involved to the job as this team was. I will be using Oldfield for my next project and certainly recommending them to any of my friends or family who need a new kitchen/bathroom, hands down! Hi Sam and Richard, just wanted to thank you soooooo much for all your hard work, advice and superb workmanship. As you know, I hated going in the room due to the terrible work carried out by the people who originally fitted the bathroom but now it’s my favourite room in the house!! It looks like a high class hotel bathroom and whilst the pics look fab, they don’t really do it justice – it’s amazing!!! I would recommend Oldfield Bathrooms & Kitchens without hesitation. We moved in to our new home in July and decided that the en-suite and Jack & Jill bathroom both needed updating as they were looking a bit tired. We knew Richard and Sam (though not well) through mutual friends so felt more comfortable choosing a small local firm than a large faceless organisation. We had pretty firm ideas of how we wanted the en-suite in particular to look but Richard soon told us those ideas wouldn’t work! Right from the off though he was very upfront about what would and would not work and he was routinely making suggestions of his own, all of which we adopted. The job was started and finished exactly when Richard said It would be and we got regular evening calls through the fortnight to check we were happy with progress. I found Richard to be meticulous in his attention to detail and it’s these small finishing touches that make a good job great. Overall, we’re absolutely delighted with the finish of both bathrooms. The en-suite in particular really has that “wow” factor. Would we use him again? An easy and immediate yes. Next up ; the kitchen! I had recently completed on an old house which required full renovation. A good friend of mine advised me to contact Oldfield’s after he was impressed with the level of service and quality he had recently experienced when fitting his bathroom. Richard and Sam were very attentive throughout the whole process. I was given some initial recommendations which we gradually refined until I was happy with the proposals. Richard cooperated directly with my builder/electrician both in the preparatory site visits and the final installation. This saved me a lot of worry in trying to project manage things myself. The quality and finish of the kitchen and bathroom I received exceeded my expectations. Many thanks for the excellent work! When deciding how we wanted to improve our existing kitchen and dining room we contacted Richard for advice. Having used Oldfield bathrooms and kitchens a few times already we didn’t hesitate about who we would use for this project. We were given various options with different budgets and after being a little unsure on which way to go we waited a while. When we did decide what we wanted Richard came to see us, giving us great advice and suggestions yet again. As always they were very hard working, trustworthy and caused the least disruption possible. We are absolutely delighted with our new open plan kitchen diner! We wouldn’t hesitate to use Richard again and would highly recommend him to anyone. Oldfield bathrooms & kitchens have been extremely helpful, well organised, punctual and a given a great service. They are always ready to give friendly & helpful advice and have been a pleasure to have around. Dear Richard & Sam, we’d like to say a very big thank you to you and your team for an excellent job on our en-suite. We are delighted with the result! From start to finish, you were extremely professional, reliable and helpful. All the work is of an extremely high standard and we would have no hesitation in recommending you. Dear Richard, Sam & the Rest of the Team, Thank you for you all the hard work you have done over the last two and a half weeks sorting out our bathroom and kitchen, as I have already said I will happily recommend you to all my family and friends, safe in the knowledge that you will do a fantastic job. Any complications you dealt with quickly and efficiently and though it is tough dealing with the chaos of having your kitchen and bathroom renovated at the same time you made it run as smoothly as possible. Again I really can’t thank you enough. I am also glad that I listened to you and the team on things I wanted in either the kitchen or bathroom, all your professional advice did stop me from making mistakes. Next time I need a bathroom or kitchen. I will gladly get you back in to manage the lot, and wouldn’t worry about a thing. All the best. Extremely helpful and accommodating. We are very pleased with the whole process from start to finish. We would definitely recommend Oldfield Bathrooms & Kitchens to others. Very good workmanship, very tidy, friendly and polite. They are definitely worth every penny spent. We would definitely recommend Oldfield Bathrooms & Kitchens. Oldfield Bathrooms & Kitchen have been excellent from first contact until completion of the job. The whole experience was so painless, stress free and the end result so marvellous, just wish I had more bathrooms. So pleased with the progression that am now investing in a new Oldfield kitchen. Sam and Richard, Just wanted to say how pleased we are with our new bathroom. From the first meeting we had to discuss our plans, Richard made suggestions on what would work and suggested alternatives if he thought there was a better option. We had to postpone the start date twice, but Sam assured us there would be no problem and the work would only begin once we were ready. The week before the work was due to start Richard came round to discuss the final plans and make sure we were happy with everything. The installation went smoothly. Everyone who worked on the job was professional, clean and tidy and the work is of such a high standard. The attention to detail has made our bathroom perfect. We would have no hesitation to recommend you, and will hopefully work with you again in the future. When we decided it was time for a new bathroom we found it hard to find the right level of quality at the right price. Luckily we spotted the Oldfield van at a neighbours and were able to see first hand the quality of the work produced by Richard and his team. 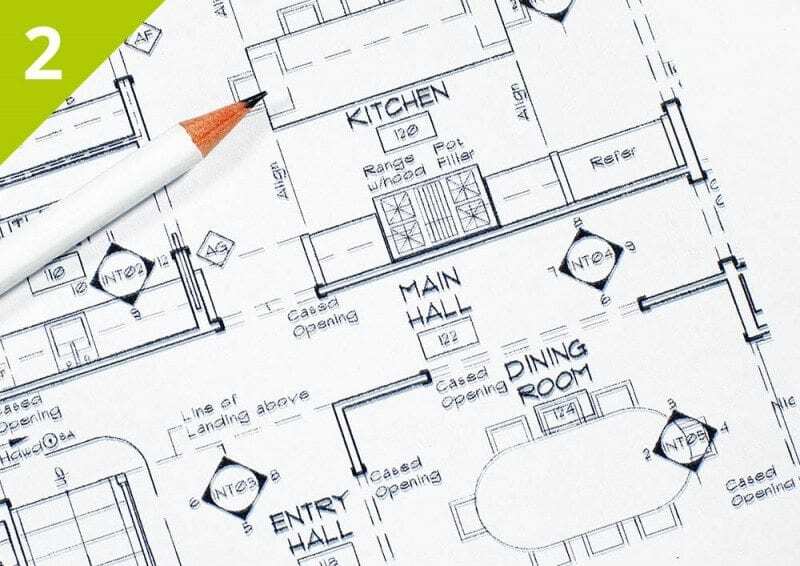 We already had very clear ideas of what we wanted and Neil had already drawn up detailed plans. However Richard was able to advise and refine what we had designed and the final product is fantastic. The timing of the bathroom was not ideal as I was recovering from major surgery however Richard and his team were so polite and clean. I actually missed them being around when they had finished. Nothing was too trouble…. I would highly recommend the team to anyone thinking of a new kitchen or bathroom”. I write to tell you how pleased we are with the kitchen which you have recently installed. We have already recommended your services (which also include plumbing & tiling) to interested parties and have allowed them to inspect your workmanship. We chose Oldfields to install both our Bathroom and Kitchen. They didn’t disappoint providing a comprehensive up front design service, a polite & tidy team with exceptional quality & attention to detail. We live in a Victorian property which we quickly discovered was hiding a few unexpected surprises. We had already had a few quotes before Richard came round and he instantly picked up on details missed by the others. We had several further meetings before Richard provided us with a quote and design we could be highly confident in. Throughout the installation Richard and his team were always considerate and polite to us and our neighbours, always leaving everything as tidy as clean as possible. The finished result is everything we hoped for and exceeded all our expectations. The quality of Richards work is exceptional, his attention to detail and willingness to go the extra mile has made all the difference. We would not hesitate in using Oldfields again and could not recommend them more strongly. We first approached Richard to quote for a job in August 2006 and this is the third time he’s carried out work for us. Richard’s approach to working with the customer, by putting forward new ideas and discussing alternatives really helped us to develop the project from design through to final installation. Richard has a genuine pride in his work and he’s keen to ensure that the customer is involved in the project at all stages. Richard is a good communicator who takes time to explain what the job will involve; he also identifies any snags and problems that arise and suggests ‘work arounds’. We have absolute confidence in Richard’s skills and have therefore recommended him to friends and family who have also asked him to carry out work in their homes. Richard and the team understand customer service and they’ve delivered a quality job. We’ve no hesitation in recommending Richard and endorsing the quality of his work. We are very pleased with our new kitchen. We appreciated the preliminary discussions on possible layouts. The word was done professionally and with great care, keeping us informed of the progress and it was finished to a very high standard. Hi Richard and Sam, Just wanted to drop you a line, to say thanks for installing an absolutely stunning kitchen in our home. Its beyond our expectations and a lot of that is down to your guidance, advice and management. Your standard of work and attention to detail is a credit to you and all the people who worked on the project. Everyone who came into our home was pleasant, good at their job and took great care in everything they did. We can appreciate how challenging it can be to do work for friends, but we want to say a big and sincere thank you to you both for a quite stunning job!!!! Dear Richard, When we wanted our bathrooms renewing we asked the local builders merchant to recommend someone, they provided a list of tradesmen. As is the usual custom we asked three of the companies named on the list to give us quotes for the work. This is how first met Richard. We asked him to do the work as he made the best impression on us from our first meeting. He had a very professional attitude, asked all the expected questions about our requirements and took note of them. He also asked many pertinent questions obviously from a professional point of view. This made, as mentioned, an excellent impression. However one of the most important things about him is we felt quite comfortable and at ease with him on a personal level. I cannot stress too strongly how much this means especially as a woman often in on her own, when you are going to have someone working in your home. The work for the bathrooms required complete renovation of three bathrooms. Richard undertook the whole organisation and coordination of all the work and tradesmen involved as well as the work he did himself. He erected walls, supports, replaced and made good the flooring in preparation for tiling etc. We were delighted with the whole job and when we wanted our kitchen replacing we, asked Richard to do it without even considering anyone else for the work. Richard was an immense help with the kitchen, due to some degree of physical disability I had some problems to overcome, he thought out and suggested and implemented the solutions. In addition to installing the new kitchen, he had to alter doorways and rehang doors and replace handles. The whole project was once again overseen and co-ordinated by Richard from fixings to the finished article. This included electricians, plasterers and overseeing the specialist granite suppliers. The job is finished to an extremely high standard and looks wonderful, but the quality of the work not seen is up to the same high standard throughout. We asked Richard to make some alterations to the study. This meant knocking down a connecting wall between a walk-in storeroom and the study, making a smaller cloakroom accessed from the hall way and forming a large storage area accessed from the study. He took down a wall and made new walls for this, evening out and making good the floor levels and wooden flooring. He again undertook co-ordinating the plasterer and electricians. This work has been done over the last three years. Over this time we have found Richard to be approachable, reliable and honest (we have no problem leaving him in the house to get on with the jobs). On a more personal level we have always found him to be hard working, thoroughly nice, decent young man who is devoted to his family and is determined to do his best. We have already recommended him to other people and we have no hesitation in recommending him to you. We didn’t want to miss the opportunity to say a massive thank you for your excellent work which culminated in our new guest wet room suite exceeding our wildest expectations. After you had already completed our main family bathroom, our master en-suite and our two downstairs cloakrooms we had no hesitation in approaching you for this final (for now) bathroom project at Highdales, without even seeking alternative quotations. In particular we wanted to highlight your supportive approach to our early planning, turning our initial ideas into pragmatic, sensible options. We felt that working with you at the planning stage took the best of our and your ideas creating final deigns that were better and more stylish than we could have chosen from any designer catalogue or showroom. In addition the speed and organisation of the installation was of the highest order, being delivered within the shortest possible timescales with the absolute minimum of disruption to our busy lives in particular, the way in which you coordinated played such as the plasterer and the tiller made the whole process seamless. The work was carried out tin a very professional manner, on time and budget by people who are accustomed to working to a high degree of competence, and with respect for people’s property. Other trades like plastering and electrics arrived on time, all rubbish was removed as it materialised, dust sheets were deployed at all times, and everything left neat and tidy at the end of each working day. I would be delighted to recommend you to any future customers. Based on the outstanding product you delivered for us any customers would be guaranteed a first class service. I would not hesitate to recommend Oldfield bathrooms and kitchens for any installation big or small. We are a small family run business offering a bespoke service. On weekdays our showroom is open by appointment only, to ensure that our clients needs are met with our full attention. Thank you from Sam & Richard Oldfield. Monday – Friday: Please telephone to arrange an appointment on: 07910 666313. Saturday: Open 10am – 2pm (No appointments necessary).